Lately, I've been stumbling onto a lot of pulled pork recipes. I don't remember ever making pulled pork and I thought I really should give it a shot. My grill is out of propane or I would have loved to grill my pork. I settled instead for my trusty crock pot. I kept the ingredients to a minimum. Just a little onion, ginger, garlic, salt and pepper. First I placed some sliced sweet onion, sliced ginger and chopped garlic in the bottom of the crock. Then I put the roast in and topped it with more sweet onion, ginger, garlic, salt and pepper. I then filled my crock about 1/3 full of water, turned it on low and let it do it's thing for about 8 hours. Then I took it out and shredded it up. The flavor was amazing just by itself. I did make a little spicy ginger sauce to go with it just for fun. I tossed the pork with the sauce and served it over rice with a little green onion garnish. This had wonderful flavor! I think it would also be great on a bun of some kind or used in a wrap with some spicy slaw. I would also like to take a moment to thank Jenn from Bread + Butter for passing me this wonderful award! You should go over and visit Jenn's blog, it's one of my favorites. Right now she has a very tasty pizza on her blog that I would love to try! Yeah, I'm tempted to cook something with pork now!!! I love your new header and background, feels really fresh. I am making this one for sure. I have an on-going love affair with my crock-pot. ESPECIALLY during the hot summer months... YUM! I luv pulled pork!! Delicious flavors...spicy+ginger+pork=aw yeah! Love the header! OH my gosh!! I can almost smell this. I will definitely try this one. :) I love your new header!! We enjoy pulled pork here as well. I really like the addition of ginger in the first step. The missing ingredient in my pulled pork, I think! Loving this! I also love your new header. So bright and fresh looking. Well done! Your new header is great and any pork recipe rocks in my house. Congratulations on your award - very deserving. Pulled pork is serious business in the Carolinas and it's always served with slaw. I like your recipe and it's a refreshing change from the norm. I would have never thought of using the crock pot - great idea. I've been traveling and unable to use the internet. Looks like I've missed a lot of good food. Great to be back. Oh look at that new header!!! It looks amazing :) Do you love it or would you like me to create a new one??? I love your take on pulled pork. Anything cooked in the crockpot is a winner in my book! I'm a huge pulled pork sandwich fan. 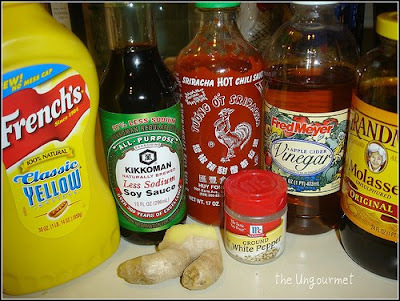 Love the addition of ginger to the seasonings. And putting it in a crockpot. Great idea. The pork looks so tender. you know, I find the crock pot is even better because it makes meats nice and moist, sometimes the grilling can dry them out. Kim, this looks especially flavorful and it looks really easy to do. I love that combination. Looks wonderful!!! Love your new header....jumps out at you....beautiful! Mmmm, pulled pork is one of my faves, this looks so good. I love the sauce you made! This looks so tender and delicious! I have been wanting to make this for the longest time. It would be wonderful on a sandwich! 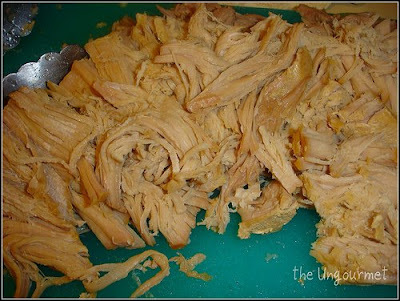 I love pulled pork and with ginger cooked in a crockpot! How cool is that? What a great idea. I am definitely going to be doing this! Thank you for visiting my blog today! I loved scrolling through yours. Fabulous pictures and great recipes. I will be back! Summer-y header you got there! You know, I've been seeing a lot of pulled pork recipes out there too and I would like to try it but I still have a lot of recipes in line..hahaha. That looks great! 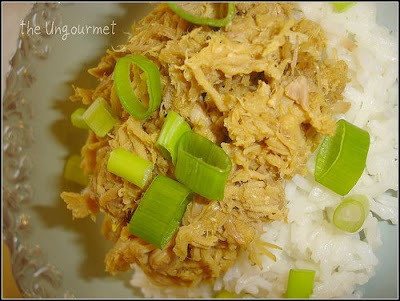 I love the combination of pork and ginger :). I've gotta try this! It looks amazing. My mouth is literally watering. Thanks for a great recipe! Once again you have impressed me with your Header. Every time I think you can't improve on what you have, you add another one. Love it! Love you! I haven't made pulled pork yet. It may be the perfect meal for this week since my kitchen it torn up. Thanks ! this looks really good... and btw, love your new header, very fresh and summery!! I love your new header! pulled pork is one of my favorite recipes....yours looks amazing! I LOVE pulled pork. I remember stumbling across a flea market/car show/open air market once and getting the most delish pulled pork sandwich. Yummmm. 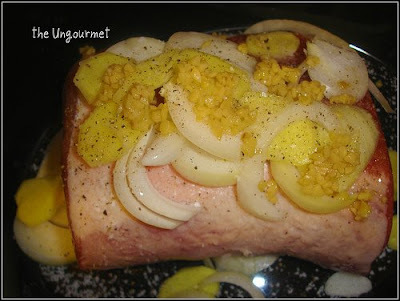 I am loving this recipe - pulled pork is a favorite of mine. I like the spicy ginger sauce added. I'd like to stumble across this pulled pork - in real life - wow does it look good! Header looks great! Delicious! I love pork! This dish sounds amazing! The spicy bit caught my eye-very tempting!! That looks hearty, the kind of meal that you rub your belly at the end of the night. I always do pulled pork in the crockpot. It's so easy and ALWAYS comes out good. I really like this spin on barbecue sauce. I'll have to try it.